My Midpride peach are showing this "curly leaves" again this year. 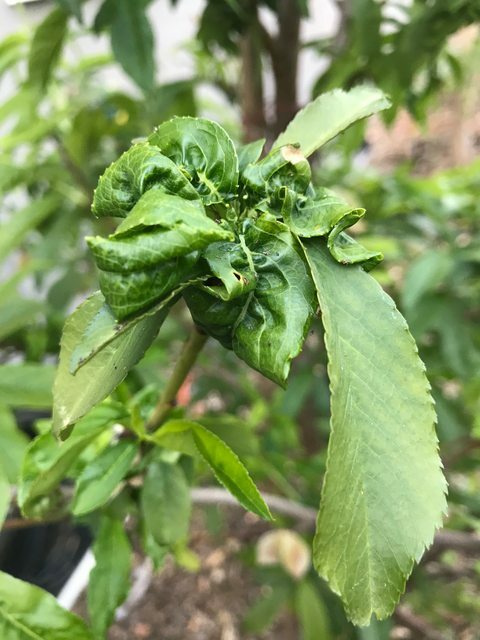 Started to showed up last year, I lightly sprayed it with Horticulture oil and Spinosad this Spring (not knowing the real cure), but the symptom came back. The tree looks like fruiting normally, but seems like something is not right. Would anyone offer a suggestion, thanks! Spinosad is for insects. Your "curly leaf" is caused by fungi. You need a copper-based fungicide, like Bordeaux mixture. Hi Waiting, thanks a lot for your straight response! Will give it a copper spray, then!